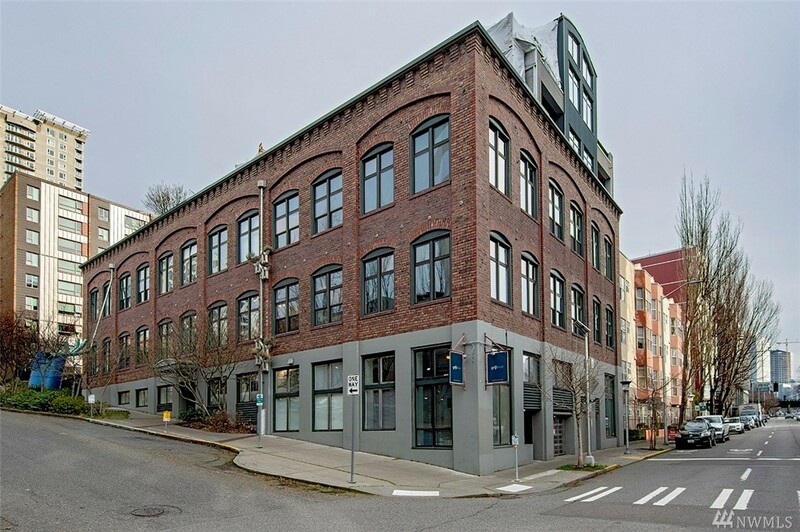 Unique opportunity to own in one of Belltownâs boutique buildings with parking and storage. Built as a printing factory in 1914, renovated by Geise Architects in 1999. This sophisticated unit with open concept, boasts high ceilings, a wall of windows and sleeping loft. A perfect blend of historic and modern components incl exposed beams and brick, sleek kitchen and bath w laundry. The building designed for mixed use is perfect to live, work or both. Walk to Belltown restaurants, shops, and bars.